This page gathers commercial banks' policies ending or restricting financing to coal utilities. It focuses on "indirect" financing through general corporate finance (lending or underwriting) and complements the pages gathering banks that ended direct finance to new coal plants, and banks that restricted the indirect finance to coal plant developers, those companies still planning to build new coal plants around the world. BankTrack published with partners in March 2018 the report "Banking on Climate Change 2018", revealing big banks' financing to the top 30 global coal utilities identified by urgewald in its Global Coal Exit List. Only one bank has so far adopted a clear and explicit wording in its policy to phase out its involvement in the coal power sector : ING. All existing clients in the utilities sector should have reduced their reliance on thermal coal to close to zero by the end of 2025 for us to continue the relationship beyond that time. Seven banks have adopted policies excluding some coal utilities beyond a specific threshold, sometimes coupled with other criteria. Those policies are sorted below from the more stringent one to the lesser one. 2. The company does not operate lignite electricity generation capacity or has a lignite phase-out strategy in place. o Coal fired electricity generation capacity does not exceed 50% of the company’s total electricity generation capacity. Electricity Generation companies whereby more than 40% of their unabated power generated derives from coal (based on Terawatt Hours of power generated), except where an existing customer is demonstrating a clear transition towards this threshold. Exceptions may be made in countries with high energy dependency (more than 65% energy imported) or without viable alternatives. Natixis does not participate in any general purpose financing in favor of a borrower whose activity is relying by 50% or more on the thermal coal sector (based on the latest published financial statements). 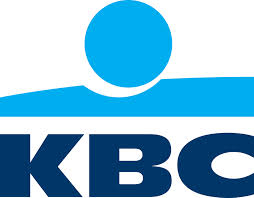 For integrated energy companies, KBC will continue to provide finance, provided they raise no more than 50% of their turnover from coal-related activities or demonstrate they will become compliant within a short timeframe. The Bank will not develop relationship with companies predominantly active in generating electricity from coal (more than 50% of the business) and not implementing a significant diversification plan. Commerzbank expects clients in Germany from the energy supply sector to limit the share of electricity generated from coal (based on their production performance) to below 30 per cent by the end of 2021. A corresponding cap of 50 per cent is expected for clients based outside of Germany. Four banks have adopted policies using different approaches to indirectly reduce their involvement in the coal power sector. Societe Generale is committed to limit the coal-fuelled part of its financed energy mix (installed MW) at 19% at the end of 2020, in consistency with the IEA 2°C scenario. The CFPG company has a diversification strategy to reduce the share of coal in its power generation mix. This diversification strategy must be at least as ambitious as the national commitment to limit GHG emissions of the country where its principal operations are located. Broadly speaking, Barclays will continue to reduce credit exposure to power generation clients where more than 50% of their power generation mix is coal-fired. We only support companies operating coal-fired power plants if they have a strategy in place to reduce coal dependency or who adhere to strict internationally recognized greenhouse gas emission standards.